Location Location! Just outside of town. No HOA. Zoned Ag. 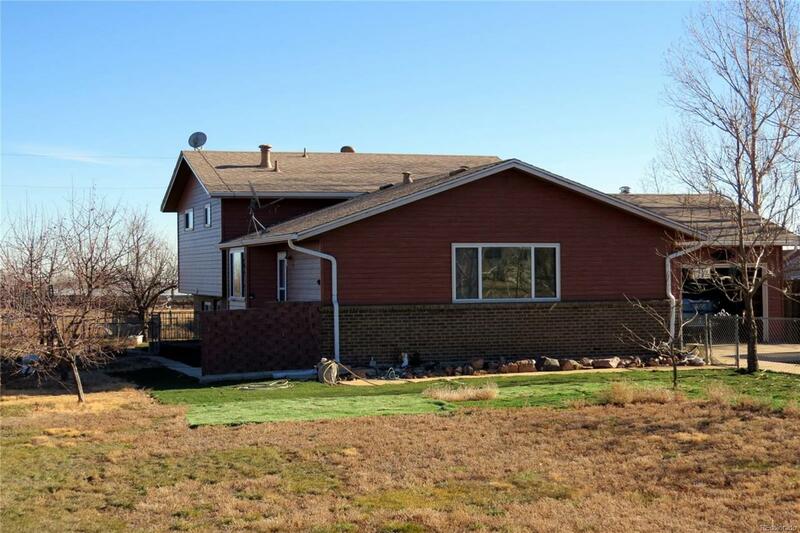 This 4 Bed/2 Bath home on 4.62 Acres is Fully Fenced and located near I-25 and E-470. Bring your Animals/Hobbies or In-home business. Enjoy Mountain Views and many types of fruit trees. There are several outbuildings including a 18' x 20' metal 1 car garage, 14' x 34' 3-sided open shed to the South, a 24' x 36' workshop with 220 volt service or could be used for a business or 4 car garage. Many uses to these outbuildings. There is even a 16' Round Silo w/concrete floor. Home has New Roof in 2016, Vinyl Double Pane Windows in 2001, Window Coverings in 2017 and newer Gutters. 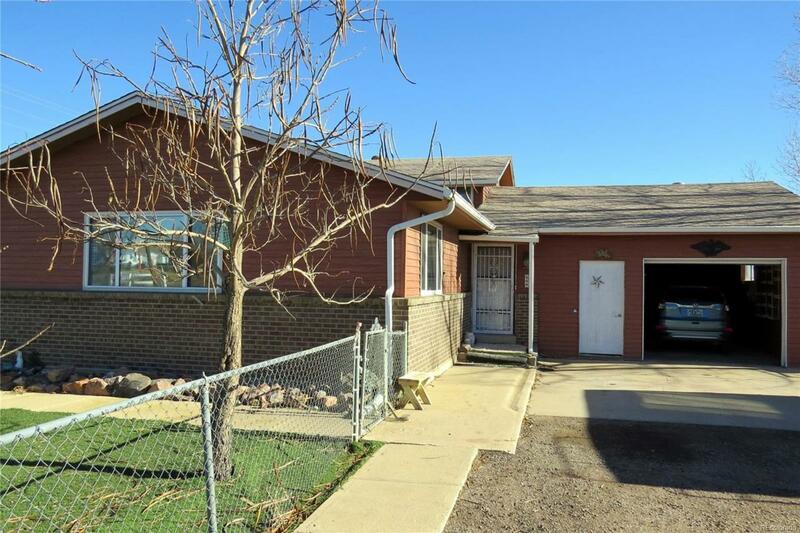 Attached garage is currently 1 car with storage area, but could be converted back to a 2 car. All Stainless Kitchen Appliances are included. Gas Stove in kitchen. 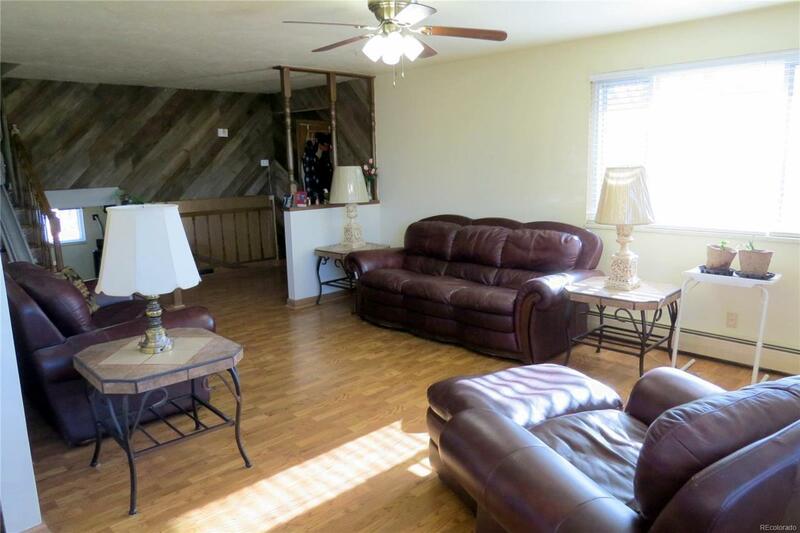 Hardwood floors and ceiling fans in all upper bedrooms. 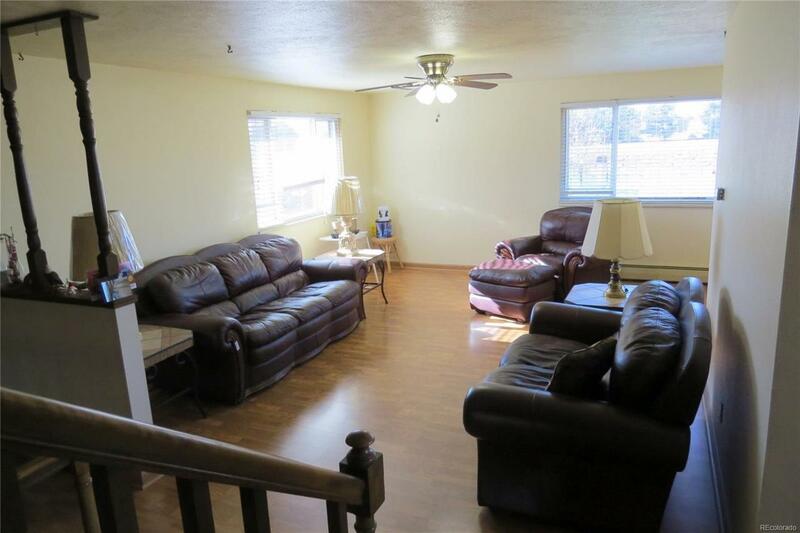 Main Floor and Lower Floor has Laminate Flooring. Freestanding Pellet Stove in Family Room w/large hopper. 1-Year Home Warranty.